The latest research and innovations by RIT graduate students were on display at the Nov. 3 RIT Graduate Showcase. More than 100 students delivered oral and poster presentations to highlight new findings varying from cybersecurity to Paleolithic cave art. 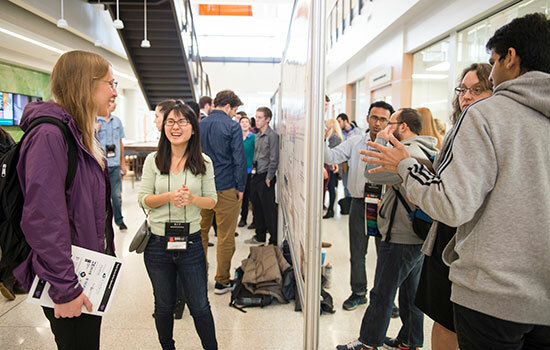 More than 100 Rochester Institute of Technology master’s and Ph.D. students presented their latest research projects and creations at the 10th annual Graduate Showcase on Nov. 3. 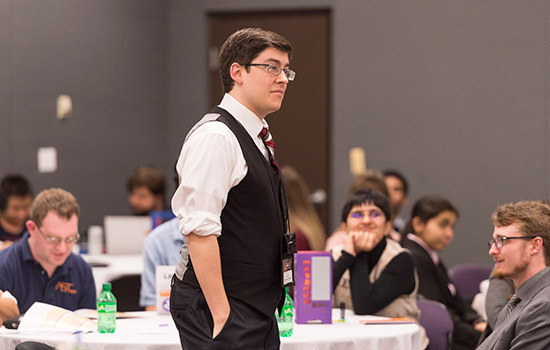 Hundreds of attendees had the opportunity to learn about the graduate students’ cutting-edge findings on topics varying from cybersecurity to Paleolithic cave art. Twelve students were awarded for their outstanding oral presentations, and the top three poster presentations were recognized as well. Kevin Cooke, a Ph.D. student from Green Township, N.J., studying astrophysical science and technology, delivered one of the award-winning presentations. He has been working on the project, “Tracing the Assembly of the Most Massive Galaxies in the Universe,” for more than two years and saw the showcase as an opportunity to reach new audiences outside his realm of expertise. 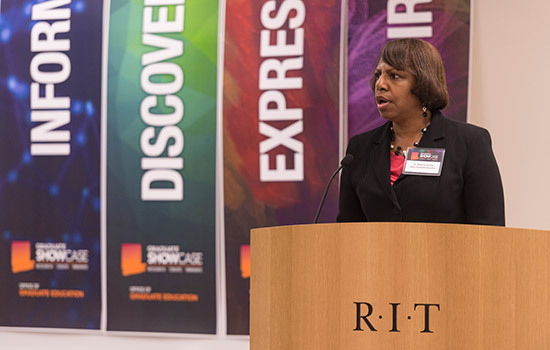 A full list of presenters and award winners is available at www.rit.edu/academicaffairs/graduateshowcase.